You'll find the Castelli Prosecco Wind Long Sleeve Baselayer is just as refreshing as its namesake libation, combining a lightweight yet warm Prosecco main body with a wind-blocking Gore Windstopper® front panel. 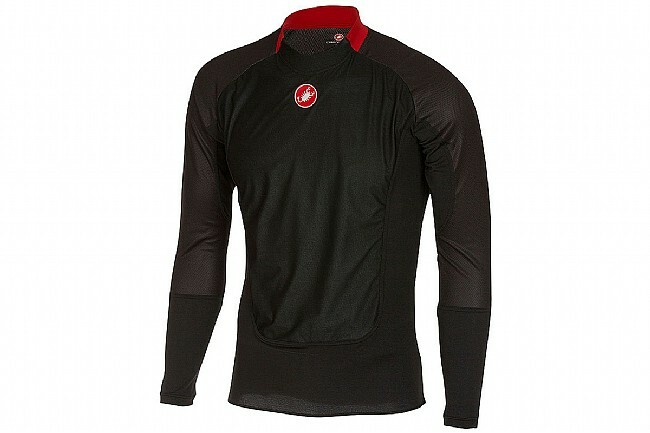 This top-of-the-line Castelli piece is the perfect companion to your favorite long sleeve jersey, letting you block out the wind without having to resort to a wind vest for when you know your ride is going to be a chilly one from beginning to end. Works great! fits to size and well made by Castello! Use as 45-55 F base layer under mid weight jacket. 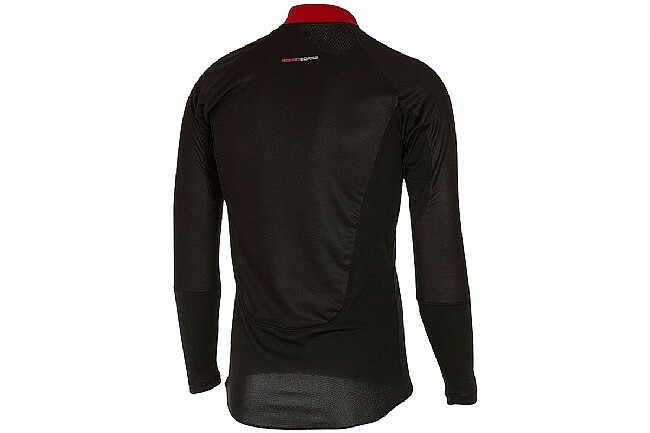 Great baselayer, it has a nice wind breaker built into the frontchest area! This works perfect for those days which are breezy...the wind resistant front protects very week and keeps you toasty..fits true to size..
Great for buffering wind for cooler rides. In the winter I will often ride 40 to 50 degrees. With this undergarment I no longer need a jacket. Moisture is wicked so it does not get heavy or uncomfortable. I normally wear an ultralight rain jacket over my jersey with this undergarment beneath all. It forms a good barrier with layers that can be removed if the sun comes out. KOP...Keep On Pedaling!